Walbrook Nursery School in Normanton, Derby, are celebrating their addition to the FSA’s Recognised Provider map. Derbyshire now has its first Recognised Forest School provider. their addition to the FSA’s Recognised Provider map. 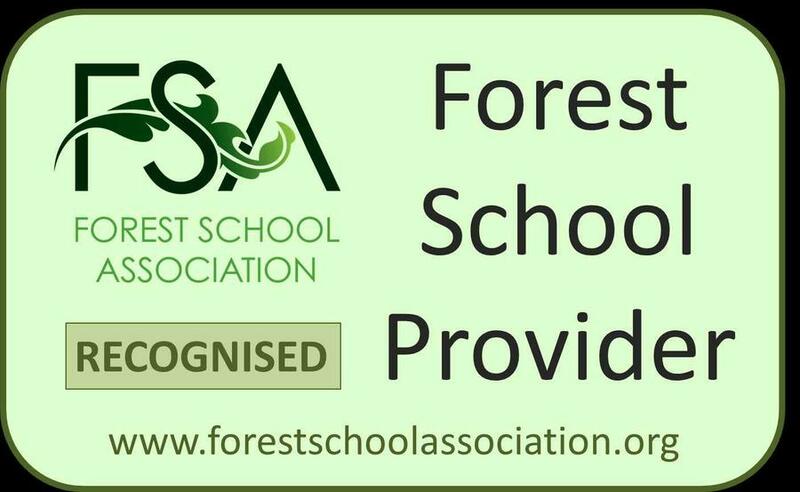 “We are absolutely delighted to be the first setting in Derbyshire to be approved as a Recognised Forest School Provider. We are based in one of the most deprived wards in the country, and feel passionate that the Forest School approach is especially important for our children. The Forest School ethos is a huge part of what we believe in at Walbrook Nursery School. What we offer is quite extraordinary: all of our eighty 3 and 4-year-old children visit the woodland every Wednesday throughout the year. This means they have the opportunity to observe seasonal changes: throwing Autumn leaves, rolling in the snow, touching buds on the horse chestnut tree as they unfold, and gazing up at the canopy of green leaves high above them. Forest School has a huge impact on the children's personal, social and emotional development, physical skills, language development, and characteristics like resilience and independence. We see the well-being as they roll down the hill, manage the risk of balancing on a fallen tree, and persist as they peel the bark from a stick for cooking. This is possible due to the work of two inspirational teachers: Karen Clark and Sheila Wheatley set up the Forest School programme here 7 years ago, and it grows stronger every year, due to the support of the Governors and parents, our partnership with Derby City Council, and the amazing commitment and hard work of the staff team.